Make your resume razzle dazzle ‘em. 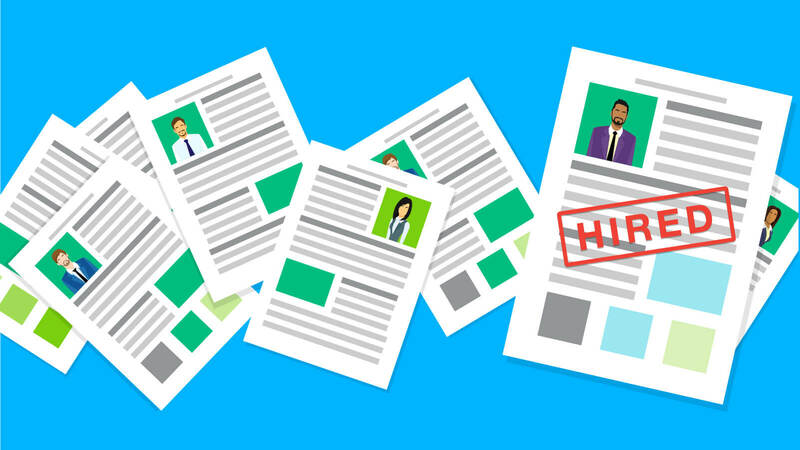 Whether your job search consists of networking events, responding to online posts, or calling on companies for which you’d like to work, the one constant (besides you, that is) is your resume. This essential document will almost always be requested, making it your key to success. Resumes can serve multiple functions, and a well written and professional one will serve each of them. Of course, the ultimate goal is for it to help you land a job, but to do that, it must tick off some boxes along the way. So here are some of the most important purposes of a resume, and how you can ensure you are capitalizing on all of them to dazzle your future employer. This may sound like a no-brainer, but it’s not. It’s easy enough to list all the jobs you’ve had and what your responsibilities were for each. This does not, however, convince a hiring manager that you can perform the particular job at hand. Hiring people is like having a huge jigsaw puzzle with a missing piece, and the candidates are each a potential piece that will solve the puzzle. You want to show in your resume just how well you are matched to the position and that you can be their solution. How? By reviewing the job listing and ensuring all your skills and experience that are relevant to the position are highlighted on your resume. Then you can prove to an employer that you have the qualifications they are looking for. Unless you are applying for a job where no computer work is required (and there aren’t too many of those anymore) or where communication isn’t necessary (ditto), your resume should reflect standard computer and communication skills. How? Through a proper treatment of language and a strategic use of bullets, bolding, italics, and formatting. When used correctly, the language in your resume can not only get the right points across, but it can also demonstrate to an employer that you have the ability to communicate clearly. And as far as language is concerned, it doesn’t stop there. A TopResume study found that 79 percent of recruiters find spelling and grammatical errors to be the No. 1 deal breaker for resumes. Clearly, dazzling an employer is not just about effective language — it’s about flawless language. As for the technical skills, the formatting tricks mentioned above will show an employer that you know your way around a computer. Plus, they make your resume more visually appealing and improve readability. Although it may be a reasonable assumption that you have been successful at those duties listed on your resume, stopping there will not impress a hiring manager. Instead, you need to show the positive results and the impact you made at previous jobs. Nothing predicts future behavior as well as previous behavior, so if you have a track record of growing revenue, creating a safety culture, or increasing profitability, show it off! Use numbers as concrete evidence of your accomplishments. Brag a little…it will dazzle. Resist the temptation to overinflate your accomplishments. Savvy hiring managers, especially ones who have done the job for which you are applying, know what is expected, what is reasonable, and what is possible. If you make an outrageous claim, it’s likely that an employer will catch on, and you’ll lose both your credibility and their respect. And if you have made an unbelievable accomplishment, make sure you have the numbers to back it up. Your integrity is at stake! Most employers are looking to invest in a candidate for the next three to five years at least. If you are just starting out, or if your job history shows a pattern of short-term assignments (18 months or less), you may have to work a little harder to impress a potential employer. If there were acceptable reasons outside your control for your moving on, mention them briefly in your cover letter. If circumstances have changed, you can mention that too. Do your due diligence at helping your future employer understand why, no matter your history, you’re the one to invest in for the future. At the end of the day, your resume's main purpose is to get you to the interview where then it’s your turn to make your mark. But in order to get there, your resume has to be polished to perfection. If you want to land the job, you’ve got to dazzle them from start to finish — from your resume’s first line to your “goodbye” handshake in the interview. Is your resume fizzling instead of dazzling? Submit it for a free, objective critique and we’ll let you know how you stack up.